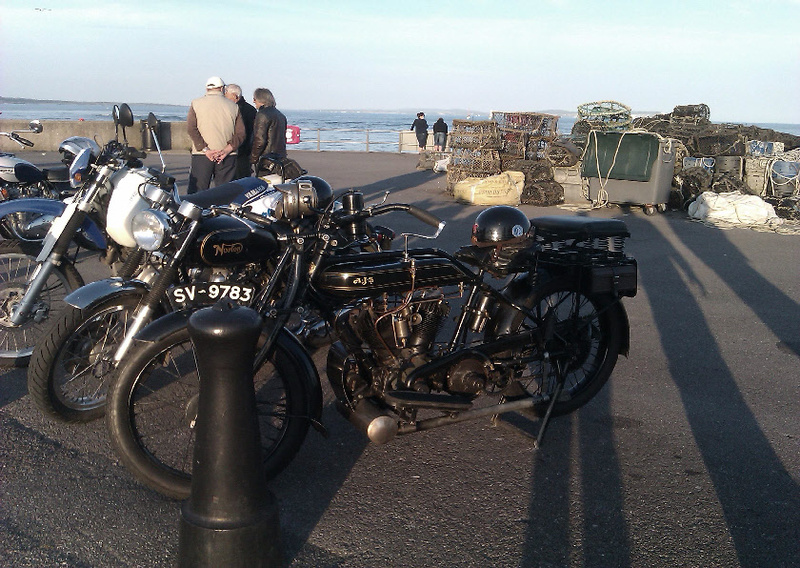 We are the Bournemouth and New Forest Section of the Vintage Motor Cycle Club (VMCC). We are a successful, friendly and well established group whose principle aim is to enjoy riding, restoring and rabbiting on about all types of veteran, vintage and classic motorcycles. We don’t have any issues regarding the make or origin other than it must be at least 25 years old. We organise club runs and bike meets throughout the year plus outings to other events associated with the biking world. The club has formal meetings on the third Monday of each month and informal meetings weekly. We have a section newsletter printed in the VMCC magazine each month. Full details of our events are available on this website; on the VMCC website; and printed programme cards are available on request. Whether you are an existing VMCC member; are interested in joining; or just fancy seeing some interesting bikes and having a chat, why not come along and meet us to find out more about the club and its various activities.